Royal Challengers Bangalore (RCB) will play Kings XI Punjab (KXIP) in the match no 28 of VIVO Indian Premier League (IPL), 2019. The match will take place at IS Bindra Stadium, Mohali. Bangalore skipper Virat Kohli shares pictures of his practice session ahead of KXIP vs RR. 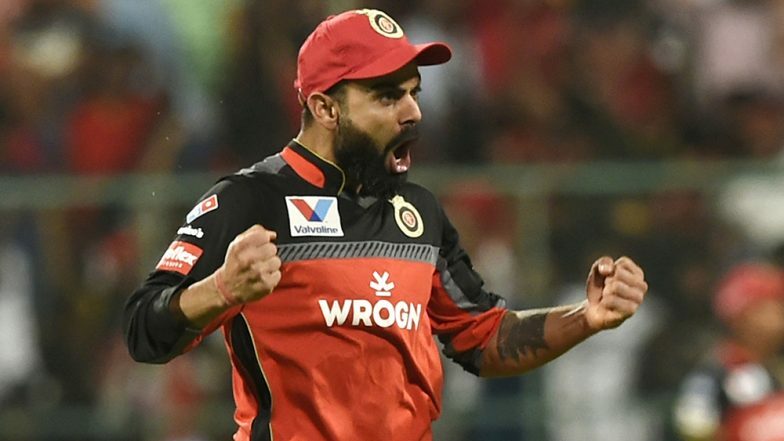 RCB Memes Apart, Now Virat Kohli Receives Negative Comments on His Latest Instagram Post Ahead of KXIP vs RCB IPL 2019 Match! Virat Kohli is going through a torrid run in this season of IPL as his team RCB has lost six matches in a row. Bangalore team till now has displayed some poor bowling and batting performance along with sloppy fielding. RCB will hope to win their upcoming game against Punjab and open an account in point table. RCB team has been trolled for their loss in this year IPL. Even RCB skipper Virat Kohli wasn't spared in that. RCB has star players like AB De Villiers, Marcus Stoinis and Tim Southee, one must have not even dreamt that RCB will go through such terrible phase in IPL 2019. Forget Virat Kohli-RCB Funny Memes, Angry MS Dhoni Jokes Are the New Favourite of IPL 2019 Season. Royal Challengers Bangalore lost their last match against Delhi Capitals (DC) at M Chinnaswamy Stadium. RCB were unable to defend the total of 149, as DC chased down the total in just 18.5 overs. In that game, Virat Kohli alone played like a lone warrior by scoring 41(33). He needs to get support from the other batsmen too, as RCB cannot always expect Kohli and De Villiers to explode. Also, they need to work on their fielding, RCB wicket-keeper Parthiv Patel dropped DC skipper Shreyas Iyer in a caught behind opportunity. This led to Shreyas inning of 67(50) to help Delhi Capitals win comfortably.